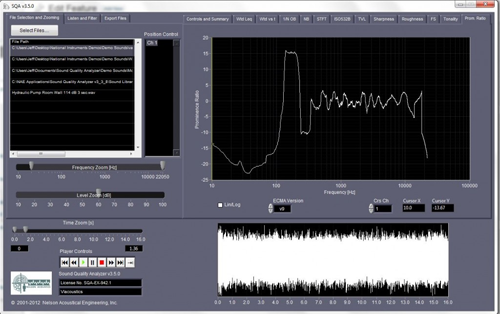 Sound Quality Analyzer conducts prominent tone anlysis per the Promince Ratio method as defined in industry standards such as ISO 7779 and ANSI S1.13. This FFT based method compares the energy in the critical band surrounding a tone to the energy in the adjacent critical bands. Results are displayed as Prominence Ratio, in decibels and can be compared to criteria for prominent tones in industry standards.